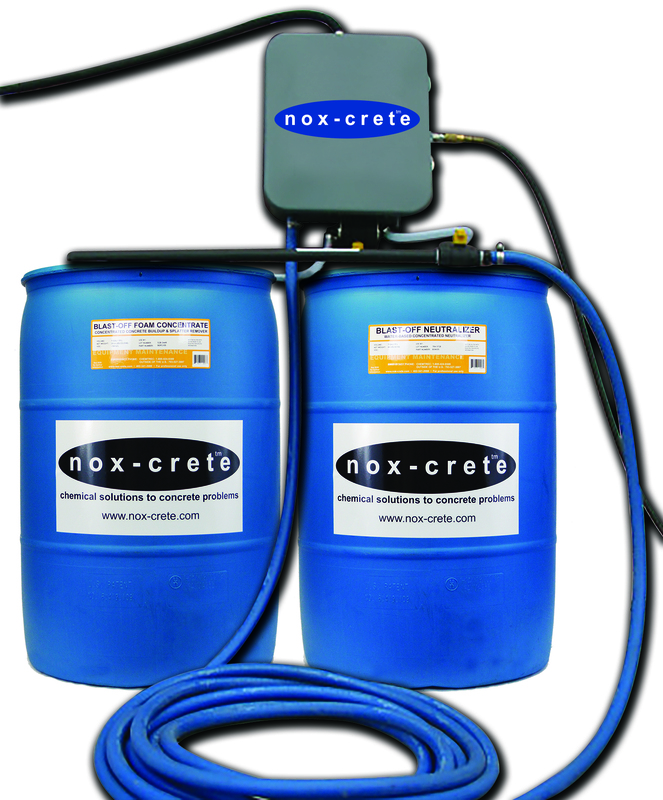 Highest pressure available for ultra light application of Nox-Crete form release agents. Polypropylene tank with shoulder carrying strap is ideal for general spray applications. Ideal for Nox-Crete’s super-concentrated form release agents. Commercial-grade sprayer can be pressurized by hand or compressed air. This Pump Foamer produces thick, rich foam making it perfect for Blast-Off and Kem-Ex-It Plus. Compressed air tank allows for 10 gallons of continuous liquid spraying. Commercial-Grade, Wall-Mounted Foaming Spray Pump for Spraying Ready-Mix trucks and Other Large Equipment. Foaming spray reaches the top of ready mix concrete mixing trucks.